Washington State has four quarterbacks listed as potential starters against Wyoming, and the starter won't be unveiled until game time. 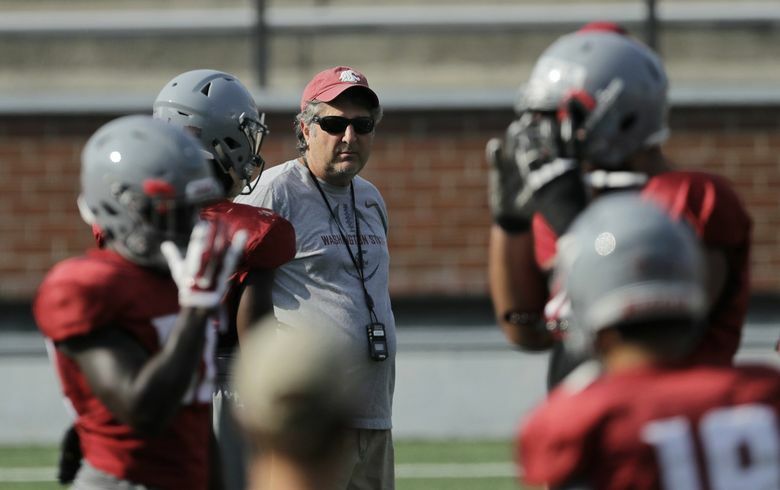 It was a pretty sure bet that Washington State football coach Mike Leach was not going to say during Tuesday’s conference call who would be his starting quarterback Saturday in the team’s season opener at Wyoming. But he did have some fun when asked what he could say about his quarterbacks, with the team’s depth chart listing the starter as Gardner Minshew or Anthony Gordon or Trey Tinsley or Cammon Cooper. Gardner Minshew, a graduate transfer from East Carolina, has the most experience and has been getting more reps at practice the past couple of weeks after sharing them equally early in summer camp with Gordon and Tinsley. It seems likely then that Minshew will start Saturday, with either Gordon or Tinsley as his backup. Wyoming opened the season last Saturday with a 29-7 win at New Mexico State. Washington State ended a five-game losing streak in season openers last year when it beat Montana State 31-0.